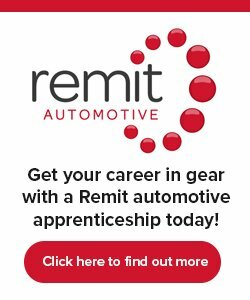 We are looking for 16 Manufacturing Apprentices to join our SEMTA-accredited, award winning scheme, based in Gloucestershire. This unique and specialist scheme was created in 2011 as a means of developing future talent and skills for the Manufacturing Services Division (MSD). The apprentices are based exclusively in MSD, which makes up about half of our business and are concerned with the issues of production and manufacture of Renishaw products, as well as the maintenance of plant and equipment which allow production to run effectively. Production and manufacturing areas can be challenging, fast-paced and highly demanding, where deadlines must be met and work and products are produced to a high standard. This pathway will appeal to people who work well under pressure and are flexible enough to deal with the changing demands on production and production techniques. You will learn core skills (soldering, wiring, assembly) and get to work alongside emerging technologies being developed for modern engineering. What will I do as a Manufacturing Apprentice? Starting in September 2019, this is a three-year commitment during which you will learn and develop engineering skills and knowledge through onsite work placements, whilst also studying for nationally recognised qualifications. You will learn the basic practical and theoretic principles of engineering, studying Performing Engineering Operations at NVQ Level 2, and a Technical Certificate Level 3 Diploma in Engineering Technology. All apprentices will be required to take 6 month placements in our Machine Shop and Production facilities. Please note there will be a requirement to spend some of this time working a double day shift pattern – alternating each week between a work pattern of 6am to 2pm and 2pm to 10pm. A further 6-month placement will be undertaken in the Works Engineering department, where you will learn about all the different aspects of maintenance of plant and equipment. Continued study towards the NVQ Level 3, supported by regular review meetings with GET tutors. You will be given the chance to specialise in production, manufacturing or maintenance with a view to gaining more in-depth knowledge and skills. A further 12 months spent honing skills and knowledge in your chosen area. A relevant hobby, or practical hands-on skills. Some previous machining experience (turning and lathe work) and/or assembly experience would be beneficial.